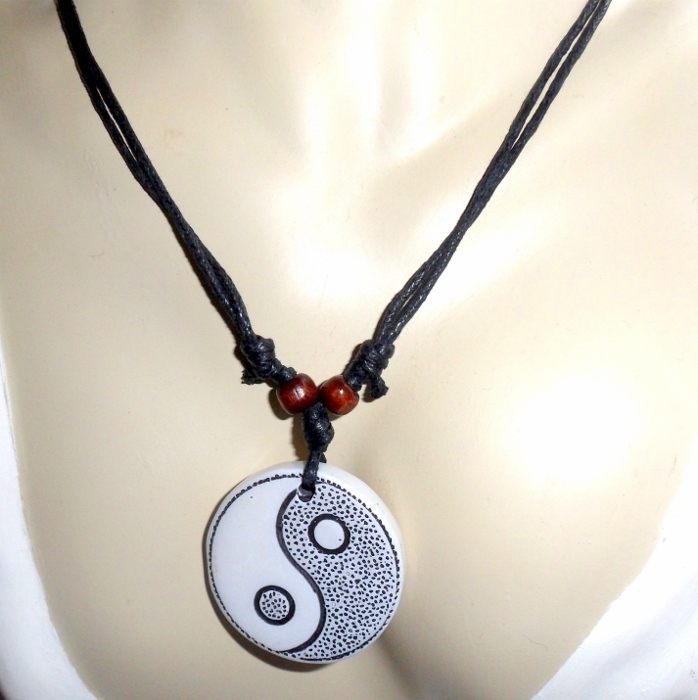 A Tibetan leather necklace with a sliding knot cord made of cotton cord, wooden beads, and a Tai Chi Yin Yang pendant. 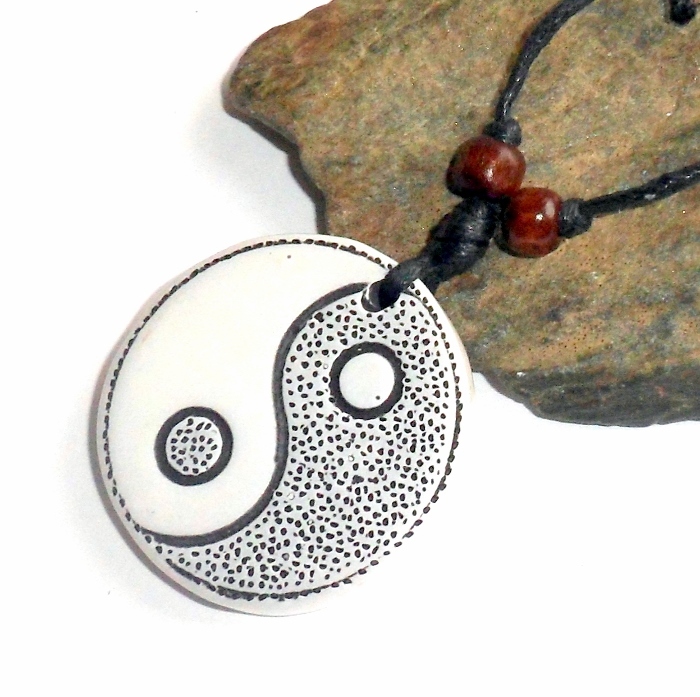 The Chinese thought the Yin-Yang symbol represents the two great opposite but complementary forces at work in the cosmos. Yin is the female. Yang represents masculinity. The interplay of the two forces makes up chi, or the material principle governing the universe. Their balance is essential to harmony and health. Each necklace is adjustable with a black sliding knot cotton cord. 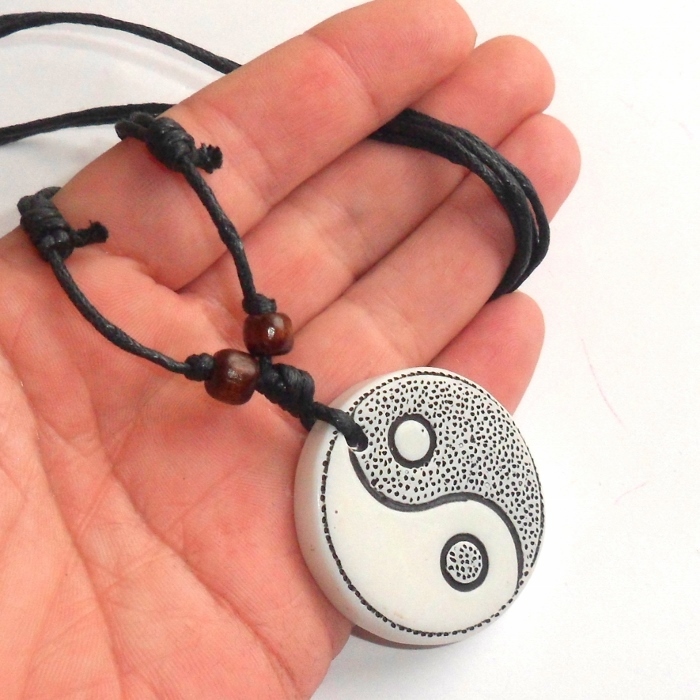 Tai Chi Yin Yang pendant is 1 1/2 inches diameter and made from yak bone. Knotted into the necklace cord are wooden beads. Necklace is adjustable from about 18 to 33 inches. 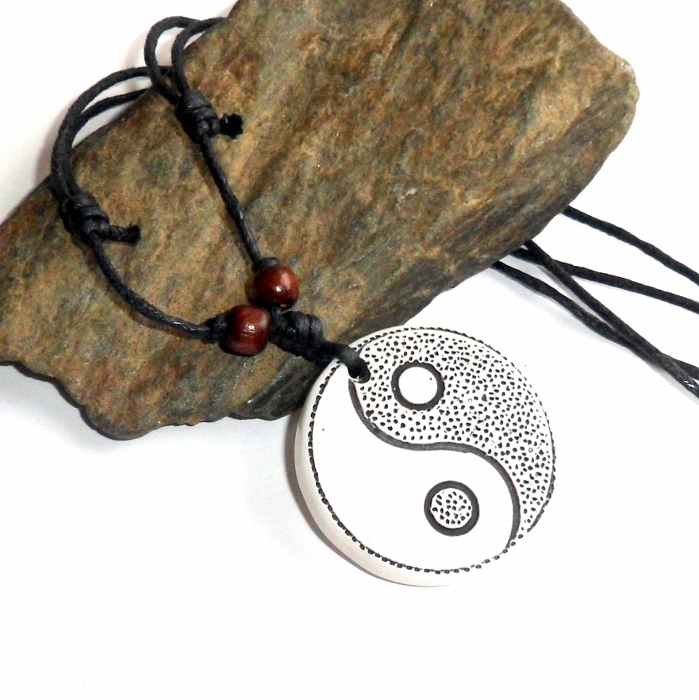 These are handmade in Tibet and crafted with care with an edgy, surfer style.